Filebeat is a lightweight shipper for forwarding and centralizing log data. 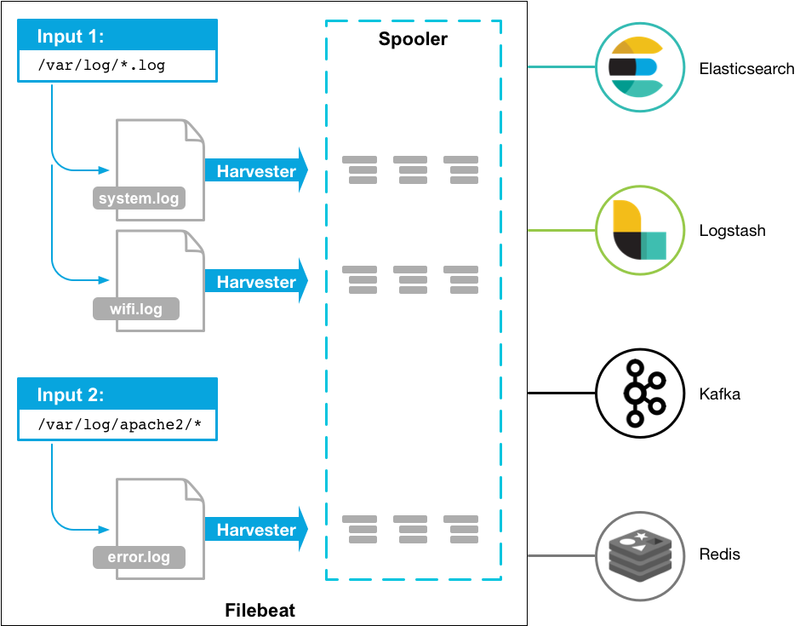 Installed as an agent on your servers, Filebeat monitors the log files or locations that you specify, collects log events, and forwards them to either to Elasticsearch or Logstash for indexing. For more information about inputs and harvesters, see How Filebeat works. Filebeat is an Elastic Beat. It’s based on the libbeat framework. For more information, see the Beats Platform Reference.